There is a writer in all of us. Thus, in schools, we are taught and encouraged to write essays. This is a good way of expressing emotions while polishing the grammar and sentence construction along the way. This further develops our communication skills, enabling us to be more confident as we go on with our daily lives, dealing with different people – inside and outside our circle. 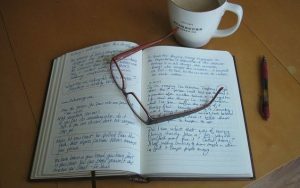 Do this whether in your journal or in your laptop or in a piece of paper. There will be moments when you will suddenly feel inspired to write. Some ordinary things become extraordinary when a writer is inspired. Don’t let the moment just pass you by. As the old saying goes, “Strike while the iron is hot”. Unleash the writer in you. Chances are, the inner writer in you is just there all along, waiting to be discovered. When one makes it a habit to read books, writing comes naturally easy. Reading books in these modern times is convenient as one can opt to read soft copies – sparing one the burden of carrying heavy books! When you expand your knowledge through reading, you will also expand your horizons on writing. Unfamiliar words can always be taken in context. Apart from enriching your vocabulary, you can take interest in the different writing styles you encounter. From these, you can innovate and do the style you are good and comfortable with. When you surround your life with positivity, all the more that you will have the passion to write. Be curious and observant. Learn how to appreciate the little things that you often pay less attention to. Be appreciative of things and moments. This perspective will not only aid you in writing but will also develop in you a good outlook in life in general. Writing is a wonderful form of distressing. It makes you express emotions and simultaneously serves as a tool in making treasured memories. Like any other passion, writing will be easy once your heart is all set to do it.